Fred has joined up with the rest of the Manchester United squad for the pre-season tour of the United States. The former Shakhtar Donetsk midfielder, who will compete with the likes of Ander Herrera and Scott McTominay, was signed by the club just before the World Cup began. Fred, who has been handed the number 17 jersey, was given an extended break after being named in the Brazil squad for the mundial held in Russia. David De Gea also joined up with the rest of the team following his World Cup exertions with Spain, even if his personal campaign didn’t go quite as well as he might have hoped. Unfortunately, Fred’s fitness is still not quite up to par with his other teammates, who have been on the tour already. He was injured in the build-up to the World Cup, as he picked up an ankle injury in training. While it seems his injury worries are no longer prevalent, there is still the matter of helping him get up to scratch and to do so, the 25-year-old trained away from the rest of the players and instead with members of the fitness team. Fred is expected to complete a midfield triumvirate with Paul Pogba and Nemanja Matic as Jose Mourinho aims to add more quality to the middle of the park. 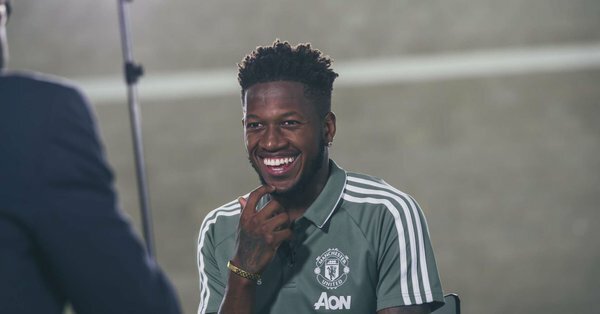 Fred was signed for about £52m earlier in the summer off the back of an excellent season in the Ukrainian league and Champions League. United fans are expectant of the energy and mobility he will add to the team though Saturday’s game against Liverpool in Detroit in the International Champions Cup may be too soon for him.